Looking for Open Water sites? Visit here. We recommend trimix use, with appropriate training, at any site (or section) below 100′. For more on North Florida topside conditions, features, and attractions, see our About N. Florida section. For more about dive training in North Florida, visit our Benefits of Training In N. FL section. 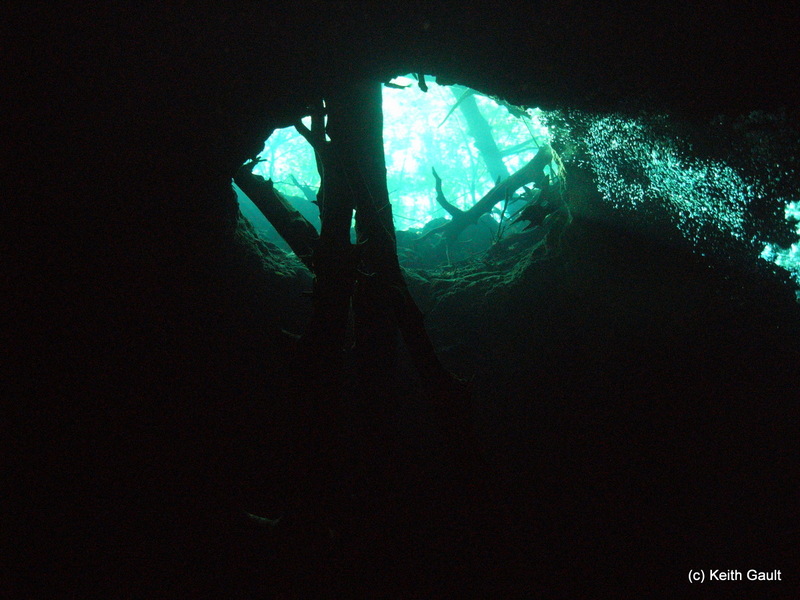 Want to come experience Florida cave diving for yourself? Find out more about our Guiding Services or Florida Cave Guiding Packages. Mer’s Favorite Clay Bank in Ginnie Springs – Do you know where to find this? 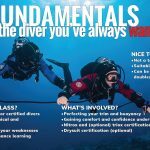 If you’re new to diving caves with flow, would like to improve on reading the flow in caves, or are intimidated by diving in the Florida summer heat, please check out our Mentored or Guiding Diving services to maximize your diving time, enjoyment, and fun during your Florida cave trip. This area includes caves on or near the Suwannee River and its tributaries such as the Santa Fe, the Withalacoochee, and Ichetucknee. Well-known Caves: Ginnie Springs (Devil’s), Little River, Peacock (Orange Grove, Peacock 1, Peacock 3), Madison Blue, Manatee. Restricted Access: Cow*, Jug Hole (seasonal), Hart**. 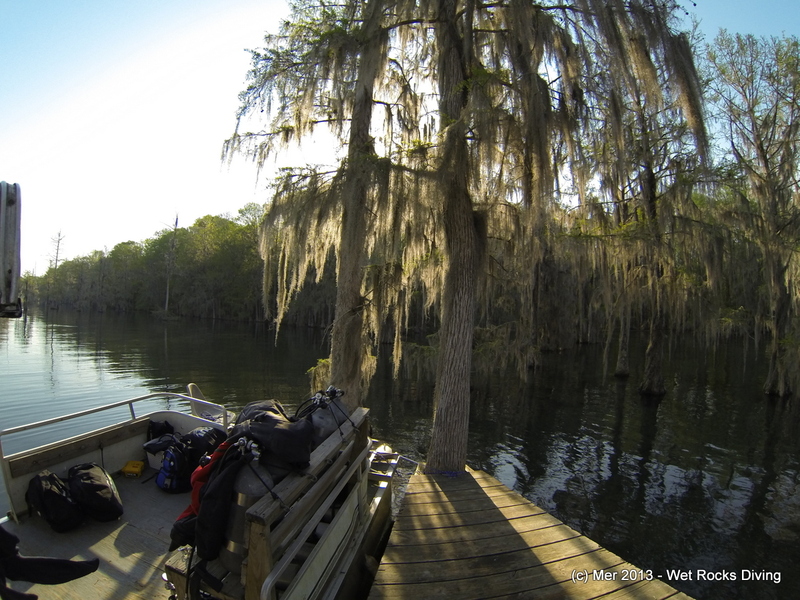 Off the beaten path (some are restricted access): Blue Grotto Cave, Telford*, Morgan**, Falmouth-Cathedral**, Alachua**, Lafayette, Pot, river caves, and sidemount-only caves. Small to medium sized cave passage with occasional big rooms or sections. Many of the recreational-depth caves have flow, which can be variable, and have average depths between 60 and 100 feet. Peacock 1/Orange Grove is a notable exception with low flow and average depths of 40-50′. Most of these caves will be affected by rains and river rises/floods and visibility will decrease and some systems will close; the most flood-resistant are Blue Grotto, Devil’s Den, Ginnie Springs, and Manatee. Flood conditions also has an impact on flow strength. Expect water temps 69-72 degrees F.
The area south of Tallahassee has many karst windows and much of its water flow underground. Access is the challenge in this area; please respect state, national, and private lands and do not sneak dive. Wakulla-Leon System (Wakulla Springs, Turner, Innisfree, Upper/Lower River Sink, Promise, Go-Between, Fern, Cream, Clear Cut**, Emerald**, Cheryl, Sullivan, Big Dismal), Sally Ward, Black Hole Swallet, Chip’s, Shepherd, Indian Springs*, Meetinghouse**, McBrides*, Cherokee, Harvey’s*, Hatchet**, Rat, Bucket, Church**. Tallahassee is known for its power cave. While the area is famous for deep, big passages, massive rooms, and white limestone walls, there are also gems at moderate tech-depths and in the nitrox range as well as passages in a variety of sizes and colors! This area is extremely sensitive to rain and flooding, but not all systems will blow out at the same time. When you hear that Tally cave is clear, get up there and dive it! These caves tend to be more challenging with variable water, line, and entry conditions, but for the Cave 2/ Full Cave diver there are amazing sights to be seen and unspoiled passages to admire. Expect water temps near 67 degrees F.
Confused yet? Diving in Tallahassee is not straight forward but can be very rewarding. Wet Rocks Diving is familiar with Tallahassee diving and can provide consult on access rules and condition trends or guiding to make sure you find the line and see the cool stuff. Mer is an Indian Springs Guide and this is her favorite cave in Florida. 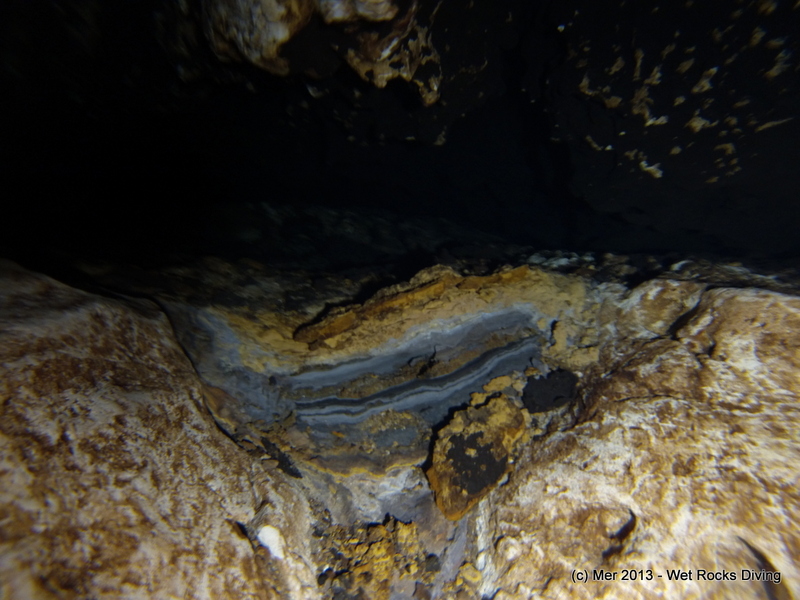 For the experienced Cave 2 or Full Cave diver with many of the High Springs area caves under their belt, the following dives are not to be missed: Harvey’s, Indian Springs, Emerald upstream to Cheryl/Black Abyss, and Clear Cut downstream sinkhole hopping all the way to Promise. Merritt’s Mill Pond is a dammed, long, skinny, spring-fed lake and as such, does not have a direct connection to a river. This regulates water level and insulates area Mill Pond caves from many flooding events. Merritt’s Mill Pond: Jackson Blue, Twin Cave, Hole in the Wall. River: Bozel*. Public, no fee, but you’ll need a boat if Merritt’s Mill Pond or on the river. Small, medium, and large passages of white, Marianna limestone await you in this rather flood-resistant area. Conditions in Hole in the Wall will vary with season (worse in winter). There’s tons of cave and tons to scooter. Jackson Blue has high to variable flow, Twin and Hole tend to be low to no flow. Drastic changes in passage type over course of a dive as well as goethite chandeliers are only some of the attractions. Expect water temps 66 to 69 degrees F with some deeper sections 63-65 degrees F. In winter, your deco stops may be colder than bottom temperatures. Cave Adventurers: Visit Edd Sorenson, get some fills, sign in for land access to Jackson Blue, or rent a pontoon boat to access Twin and Hole in the Wall which are equipped with convenient, between-tree dive docks. Reservations strongly recommended for boats on weekends and holiday weeks. 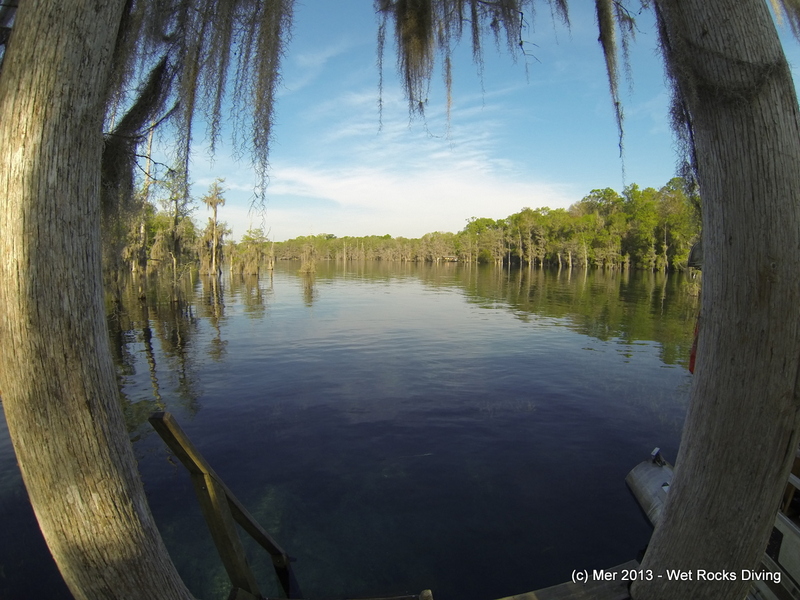 Diepolder II and III**, Eagles Nest**, Wayne’s World**, Buford, Weeki Wachee, Twin Dees. Known for super-deep depths and massive rooms, these caves require guided access or small-fee public access that involves long, un-improved roads or some pretty brutal swamp-stomping. When the conditions are good, and the divers determined, these caves can be very rewarding. This list is by no means exhaustive. Information provide for convenience and is deemed reliable, but is not guaranteed. Please consider your and your car’s safety at certain sites, especially at sites outside patrolled state and private parks where there has been a history of petty theft. 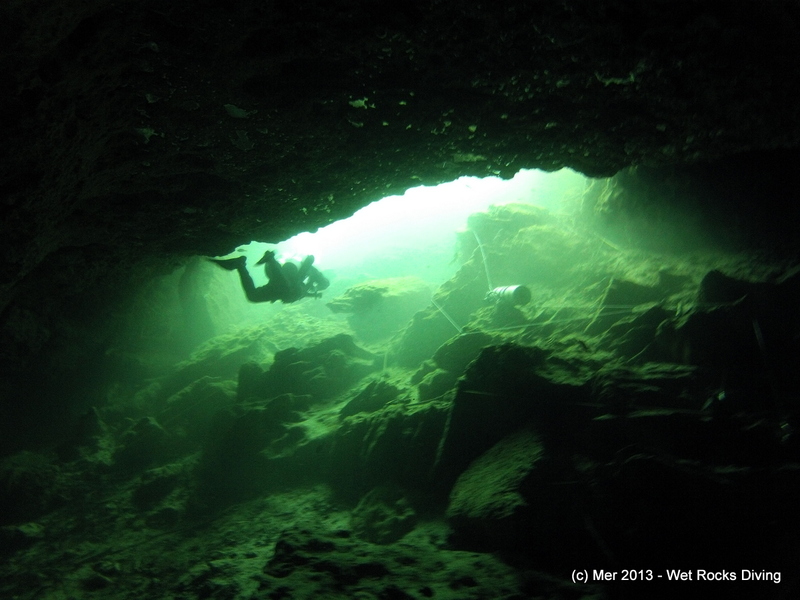 Ready to come experience Florida cave diving for yourself? Find out more about our Guiding Services or Florida Cave Guiding Packages.